Secure your server by enable WHM root & SSH login email alerts , its very important security concern for server to protect the server from unknown login attempts. Every time you will notify via email with every login attempts. 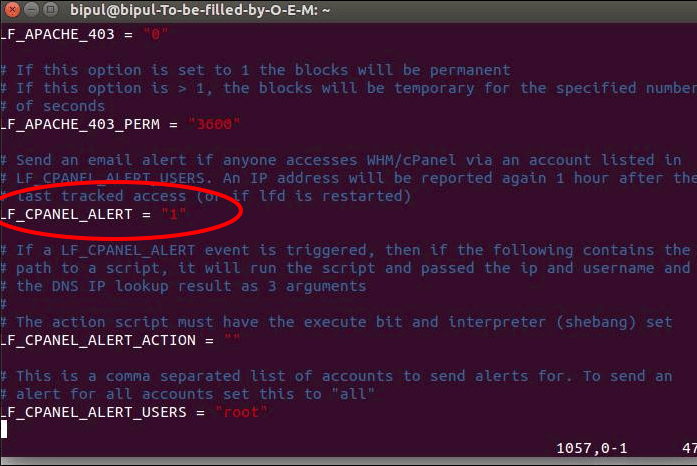 Step-2: Change the value of “LF_CPANEL_ALERT” directive from ‘0‘ to ‘1‘. Step-3: Restart the CSF. its done..
Step-1 : login server with SSH as root user & Open the CSF configuration file. change the value of “LF_CPANEL_ALERT” directive from ‘0‘ to ‘1‘. & save it. . Replace YourServerName with the handle for your actual server Replace [email protected] with your email address.